It is %100 turkish handmade carpet.This is a vintage Kayseri carpet.Kayseri is a city in Turkey.All colours are natural dyed. 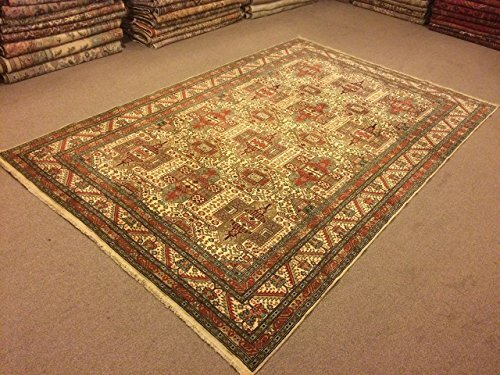 Size:6.6x10 feet 198x305 cm Material:wool on cotton Code:K464 Fast Worldwide Shipment in 1-3 business days after the order and it may take an additional 3-5 days for delivery. All items are shipped by Fedex and Ups.Please note that light effect, monitor's brightness, contrast etc. may cause a slight color difference on items. I do not edit the colors of my pictures and strive to show my items as they appear in natural light. Colors may vary slightly depending on your computer's monitor settings.